Roberto Ferreyra has been an active artist and educator in Mexico as well as Chicago for over 30 years. He has developed his artistic career in multiple disciplines such as visual art, Aztec dance, storytelling, and Mexican traditional music and crafts. Roberto has worked as a printmaking teacher for various levels, from beginners to professionals. 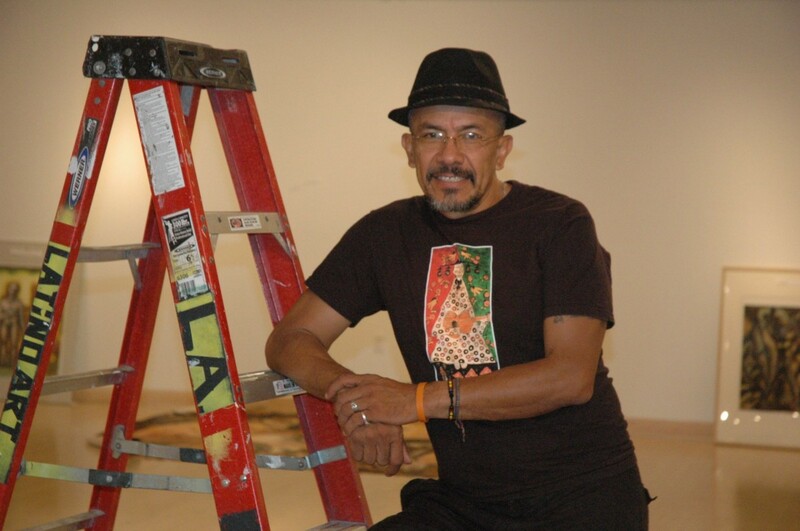 He has collaborated with institutions such as Gallery 37, the School of the Art Institute in Chicago, the National Museum of Mexican Art, The Field Museum, and numerous others. In 2006 he was invited to participate with his musical ensemble and family in the Smithsonian Folklife Festival in Washington DC as a musician, teaching artist, and visual art exhibitor. He is currently represented by Prospectus Gallery and Colibri Studio/Gallery in Chicago. Roberto’s works have been shown in Spain, Canada (Montreal and Toronto), the United States (New York and Chicago) as well as in his own country of Mexico. His works have also appeared in many art magazines from Mexico and other countries such as El Universal and Exelcior. Roberto is not only a well known painter, but is also an acclaimed poet, winner of the 1985 “2nd Bienal de Poesia Breve” from Valparaiso, Chile, and the 1986 “Antologia de Poesia Joven Latinoamericana” from the magazine Revista Mairena in Puerto Rico. Roberto is creating new pathways as an artist in visual, musical, and literary arts as he continually evolves as an artist and educator.